50 000 $ dans la modernisation, complètement à 100% rénové, planchers de bois, comptoirs en granit, électroménagers en acier inoxydable, les organisateurs de placard, terrasse pavée, ventilateurs de plafond dans toutes les chambres, nouvelle laveuse et sécheuse, moulage de la Couronne dans l'unité entière, ect. distance de marche de la station nationale de la PGA avec des restaurants primés. Great stay in a great place. We had a wonderful stay in the Golf Villa at PGA National. Beautiful places to walk, 2 great swimming pools, close to PGA mall and lots of great restaurants. The condo was very clean, comfortable and had everything we needed. Owner was great, suggested we go to the new ball park..so much fun and very close nearby. We will definitely be back! Loved the apartment and surrounding community. Very relaxing, peaceful place. Felt safe and enjoyed the scenery. Loved being so close to pools and liked the proximity to cute shopping areas. Ron was very accommodating and attentive. Most importantly, everything was clean and well-maintained. In addition, the owner was quick to respond when needed. I would absolutely recommend this property, as well as the owner. As always, this location is the best! Clean, comfortable, convenient, safe. Superb! This is my second consecutive year staying here and I will continue to return every year. The unit has everything you need and more to accommodate you so your stay is comfortable, safe and enjoyable. The villa is well furnished and nicely decorated. A wide variety of accessories and amenities are provided so you really do not need anything to start your vacation. It is very clean and well maintained. Customer service by the owner is very expedient. The area is very safe and convenient. 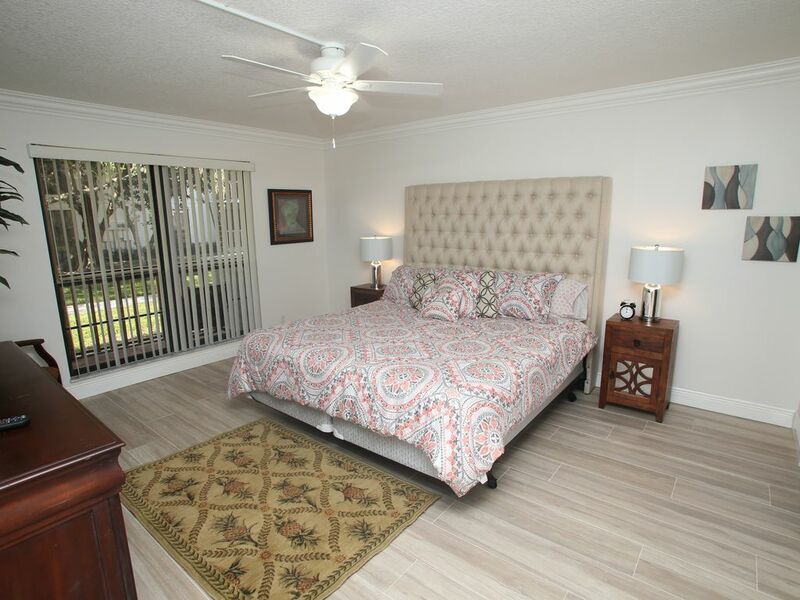 You are 5 minutes from the PGA National Resort and Spa, 7 minutes to PGA Commons, 10 minutes to Downtown at the Gardens and the Gardens Mall, and 20 minutes to the beach. This is the perfect place to stay and I will be back again! Weekly Rate: $1200 - $2000 Monthly Rate: $2500 - $6000 this Unit is ground floor unit ! and is available for 1 month up to 6 month rental. Please email us for further details on property. 100% remodeled with brand new everything !